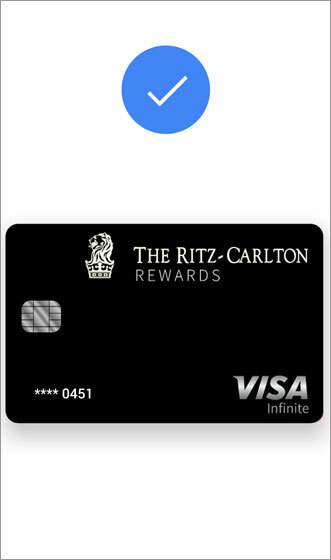 From the Google Pay app, select the appropriate card. For more info or to download the Google Pay app, click here. Show the card to the cashier so they can scan or enter the card number. Unlock your device then hold it near the terminal. Once the transaction is confirmed (or the loyalty card is applied), a confirmation with transaction details and the Maps location where the purchase was made is sent to the device.